Are you looking to get out on the water and become involved in sailing, with no prior experience or knowledge or some past sailing proficiency? 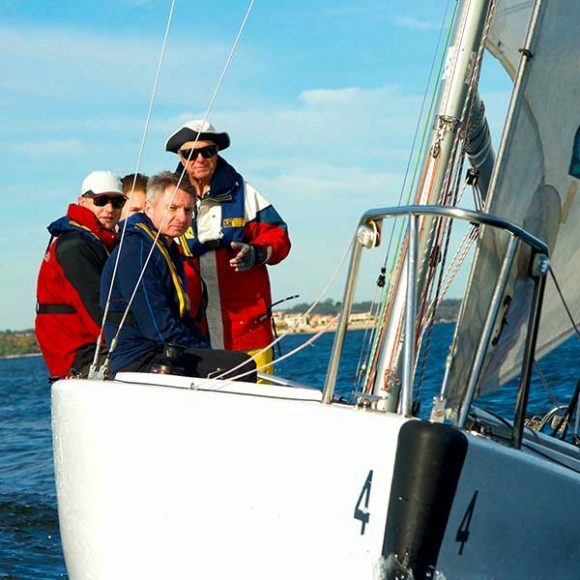 Look no further than a keelboat sailing course at Royal Perth Yacht Club. 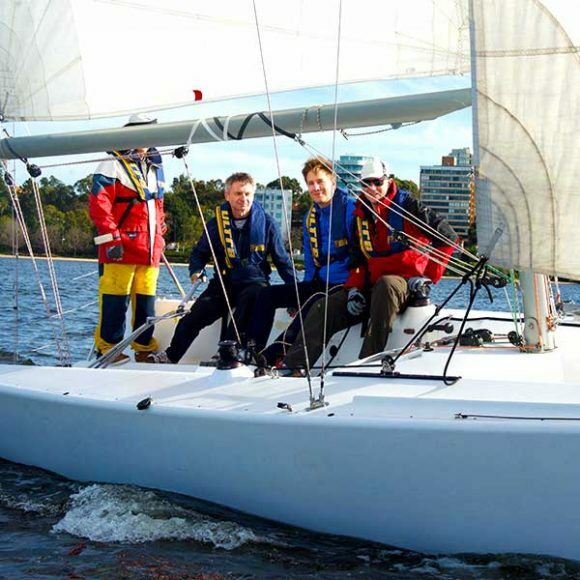 Keelboat training takes place on the Club’s specially designed fleet of eight meter training yachts on the sheltered waters of Matilda Bay. You will sail with three or four students on-board, plus an instructor, making for a very safe and enjoyable learning experience. Our courses are suitable for all ages, from young adults (15 years of age) upwards. 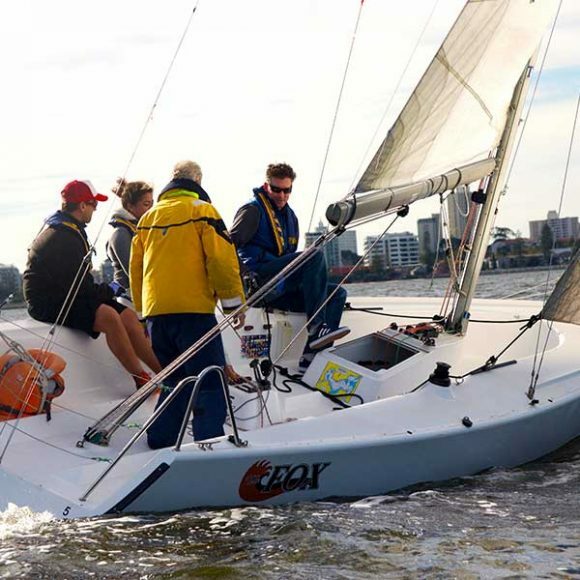 All courses are delivered by Australian Sailing qualified Instructors and follow the Australian Sailing keelboat training scheme. This alignment with the National scheme ensures the highest standard of delivery and safety for all participants. It also means you will graduate with a national qualification that is internationally recognised! Please read on to view our keelboat course options, opportunities for further development, course dates, times and enrolment forms. The Keelboat Helm and Crew course is the perfect starting point for your sailing journey. Whether you are a complete beginner, or possess some past knowledge and would like to refresh your skills, this course will benefit you. 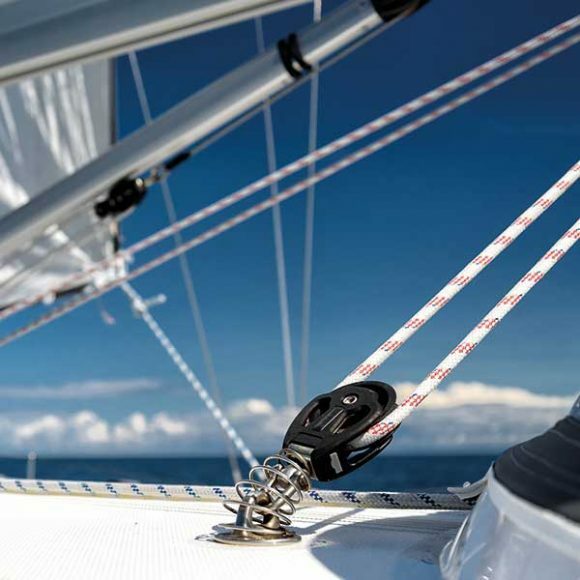 -How to prepare the yacht for sailing, including tying all the necessary knots. -How to sail the yacht around a course, or to a destination. Including sailing at all points of sail and the manoeuvres required to change directions and turn around. 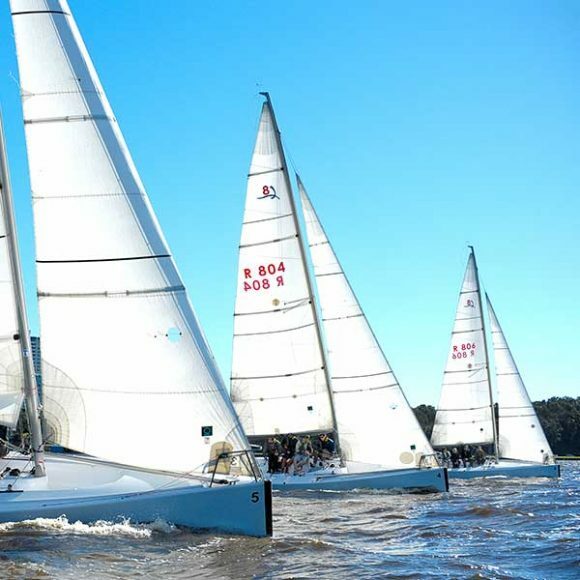 -The rules of sailing, who has right of way on the water in different scenarios. -Safety, including a man overboard drill. The course cost is $390 per person, which includes 20 hours of tuition, full personal insurance cover issued by Australian Sailing, a course pack including a theory and logbook and a great introduction to RPYC. Following the completion of this course, you can either complete the Keelboat Spinnaker and Racing components, or get straight into sailing with the support of the Club. Please see below for your many opportunities to continue sailing after completion of this introductory course. Upon successful completion of the Keelboat Helm and Crew course, you may wish to further expand on your knowledge and learn about sailing with spinnakers. Alternatively, you may have been sailing for a while and wish to up-skill with an additional qualification. This course takes place in a similar manner to the Keelboat Crew and Helm course, with an instructor on-board each yacht with a small group of students. Successful students will attain another qualification in the Keelboat Spinnaker certificate. 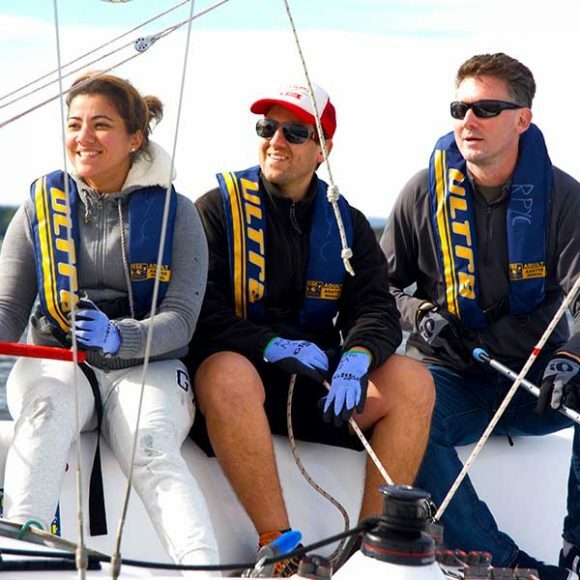 The cost of completing this course is $280 per person, which includes 12 hours of tuition and full personal insurance cover issued by Australian Sailing. Often the Spinnaker course is run in conjunction with the Racing course, presenting a further expansion on what was learnt in the Keelboat Crew and Helm course. These courses complete the Australian Sailing Keelboat Scheme’s schedule of courses and provide a further two qualifications. This course is suitable for all who have completed the basic Crew and Helm course and are looking to further develop their skills and engage in racing, either as a crew member or by purchasing a yacht of their own. It is also suitable for people with prior experience who have not undertaken formal training, yet wish to up-skill. The cost of this course is $390 per person and the course includes 20 hours of tuition and insurance cover issued by Australian Sailing. Following the completion of the Keelboat Helm and Crew course, you may elect to complete the courses mentioned above, or the stage is set for you to step into regular sailing at RPYC. If you are confident and ready to go sailing, check out the listing of skippers looking for crew, available here. You can also complete a ‘Crew Available’ form here and skippers can contact you. A number of skippers at the Club have been identified as mentors of new crew members. Speak to Club Development Officer Chris Goldacre and discuss your preferences for boat types and sailing style and he will put you in contact with a mentor. This program is a great way to become involved in sailing and the Club with someone to support you along the way. A number of squads train regularly at the Club and new members of all experience levels are always welcome. View the squad pages here to find out more. If it has always been a dream of yours to own your own yacht, you may feel confident to take the plunge now and become a boat owner in your own right. Please speak to Club Development Officer Chris Goldacre on 9389 1555 or at sailtraining@rpyc.com.au for further information on any of these courses or development options. Ongoing participation at the Club as a crew member or a boat owner will involve you becoming a Club member. There are many flexible options available, starting from Crew Membership at less than a dollar a day. Membership is important as it not only allows you to use the great facilities on offer, it also provides you with personal insurance whilst sailing, issued by Australian Sailing. You will continue to be covered by Australian Sailing for three months after your course, but after this time as a national rule, any sailor wanting to compete in more than three races must be a member of a Club. Please see the membership section for all details and to find the best option for you.